In the late 19th century, banker Anson Phelps Stokes was a pretty big deal in Nevada. 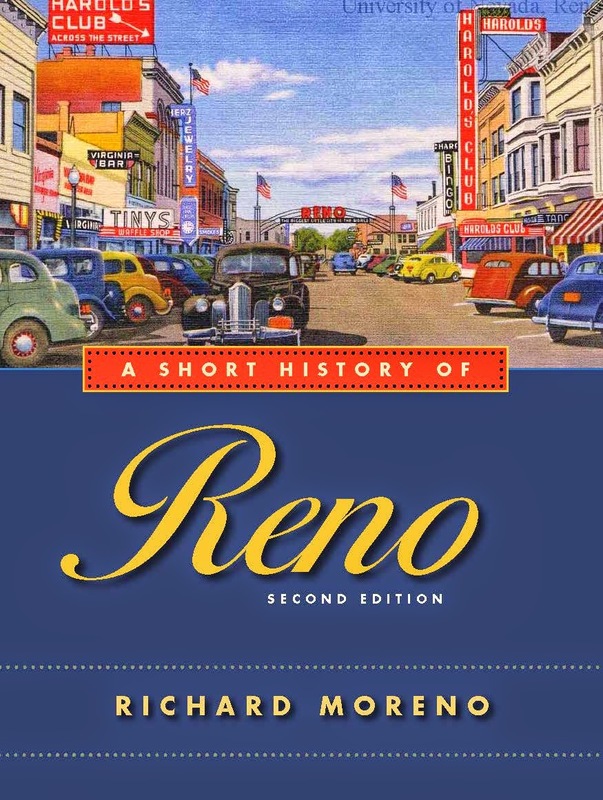 Born in New York City in 1838, he joined his family’s successful mercantile company as a young man and by the 1860s he had begun investing in silver mines in the Reese River area around Austin, Nevada. According to railroad historian David Myrick, in 1879 Stokes became convinced that Austin needed a rail connection to the Central Pacific Railroad line to the north at Battle Mountain in order to transport its silver ore. He purchased the holdings of the Nevada Railway, which had unsuccessfully tried for several years to complete a 93-mile line between Austin and Battle Mountain, and renamed it the Nevada Central Railway. The earlier rail company had persuaded the Nevada legislature in 1875 to authorize Lander County (of which Austin was the county seat) to grant $200,000 to the railroad as an incentive to build the line. However, there was a five-year time limit to complete the railroad. After acquiring the Nevada Railway, Stokes and his partners had about five months to complete the project and earn the subsidy. Between September 15, 1879, when he purchased the railroad, and February 9, 1880, the state mandated deadline, the Nevada Central threw down some 80 or so miles of rail and ties, an impressive accomplishment but not enough to get the job finished. The Austin city officials came to the railroad’s rescue by voting at the last minute to enlarge the city limits to just about where the rail line reached, thereby ensuring that the line had been built to Austin, as specified in the legislation. “At 10 minutes before midnight, track was completed by torchlight to stake 4811, 900 feet inside the expanded city limits,” Myrick wrote. Of course, in subsequent weeks, the railroad completed the entire 93 miles of the line, which began regular service in early March. In 1897, Stokes brought on his son, J.G. Phelps Stokes, to oversee his Austin holdings. To provide a suitable dwelling for both when in the area on business, Anson Phelps Stokes had a three-story granite slab structure erected on a hill to the west of Austin which became known as Stoke’s Castle or the Tower. According to historians William Douglass and Robert Nylen, the castle was modeled after one located in Italy. A painting of the historic Roman structure hung in the Stokes home in New York and was the template for Stokes Castle. Stokes also noted that the tower was originally only two stories and that he and his father first occupied it in June and July of 1897, and returned to live there in October of the same year. He said he and a business associate, Tasker Oddie (who later became a Nevada Governor and U.S. Senator) resided in the structure in February 1898 while on a business trip to Austin. The tower was enlarged to three stories in the spring of 1898 and occupied by both father and son Stokes in June 1898. He said that shortly after that, he and his father sold their mining holdings in Austin as well as the castle. The castle was largely abandoned for the next half-century until it was acquired in 1956 by Molly Magee Knudsen, a cousin of Stokes. Knudsen, a New York socialite who had fallen in love with Nevada, also purchased a large ranch near Austin and became an active and prominent member of the Austin community (as well as a longtime University of Nevada regent). Remarkably, the castle remains standing today. While still in private hands (a chain-link fence has been erected around it to preserve the building), it is listed on the National Register of Historic Places and is a popular Austin landmark. Looking at the tower, can see the rough, hand-cut stone walls and the now-rusted metal supports that once held the balconies that encircled the upper floors. Partially boarded-up windows look out on the valley and a chimney rises from the top of the structure (there were fireplaces on every floor). Visitors to Stokes Castle can reach it by heading south of U.S. 50, just west of Austin, on a well-maintained dirt road. Once there, it’s easy to see why J.G. Phelps Stokes was so enamored with the view of the surrounding Reese River Valley—it is spectacular. 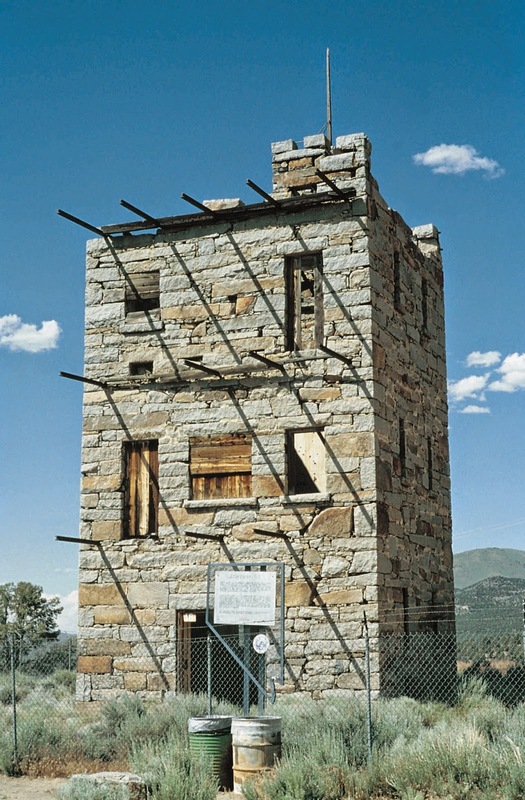 For more information on Stokes Castle, contact the Austin Chamber of Commerce, www.austinnevada.com.